Though Ant and I have explored most of Australia, we had never been to the top end of WA. We all loved the differences that such a climate brings. 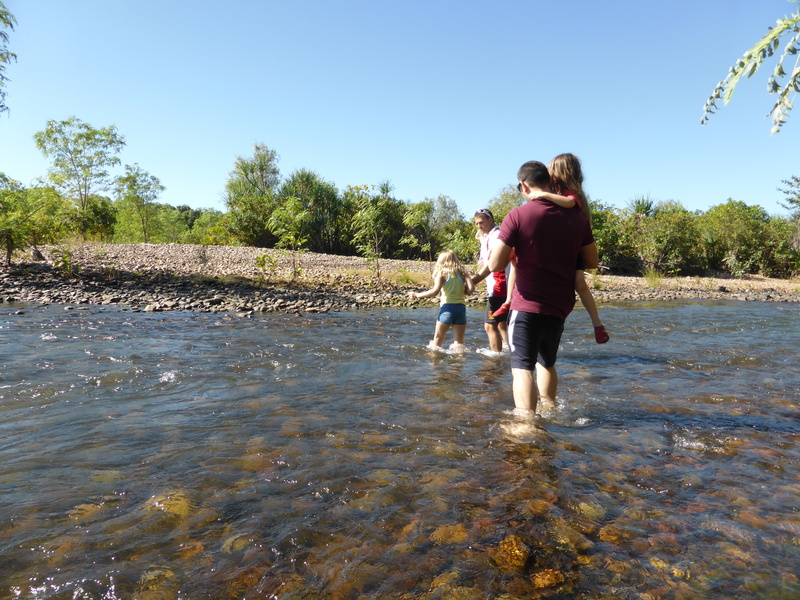 Activities like wading through creek shallows, crossing a flowing river in the car, and scampering over rocky hills were wonderful adventures. 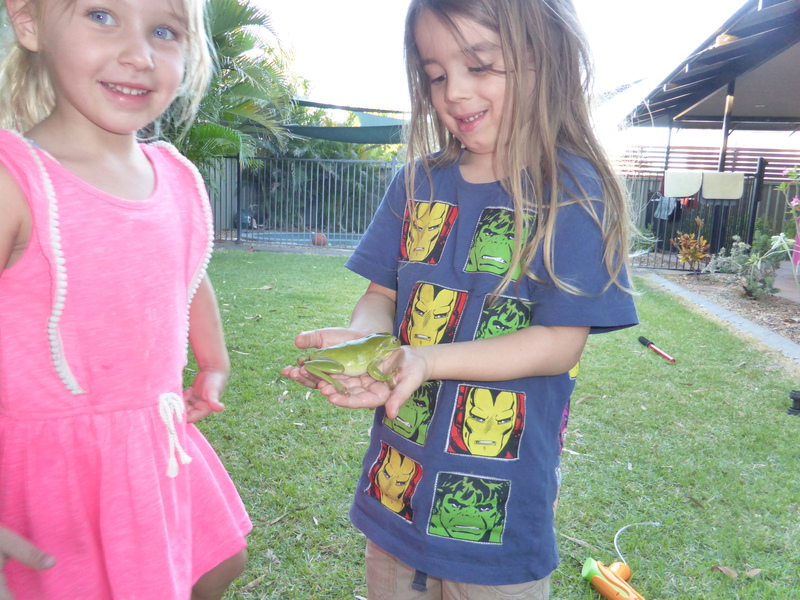 And the flora and fauna were obviously different too, and we marvelled at the bulging boab trees, abundant water and lush greenery, being constantly aware of crocodiles, and finding frogs in the drain pipes! 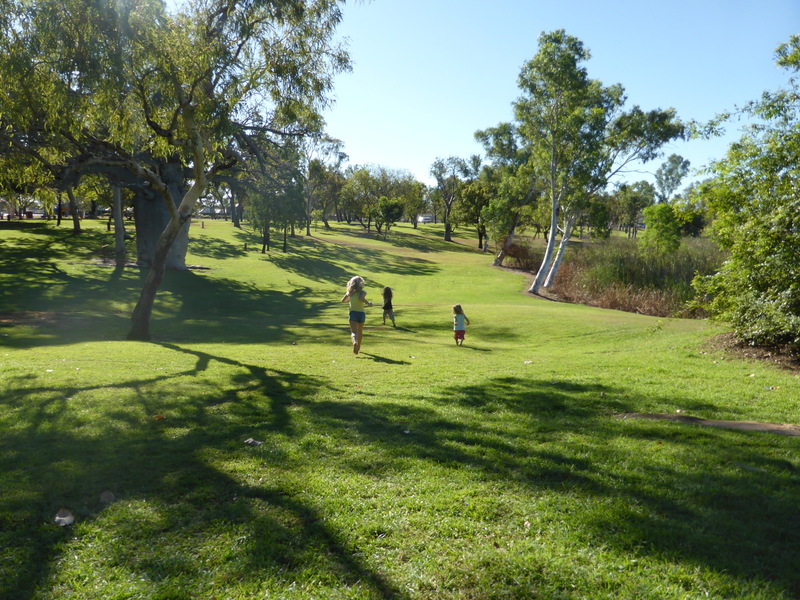 The town of Kununurra is young and growing, and has most amenities that small cities have. However, I was amazed and sad to learn that the town does not yet have a recycling service. Bottled water is very popular there, so the amount of recyclable plastic going into landfill must be huge. Being quite remote, supermarkets are always busy and can run out of popular items before new stock arrives. 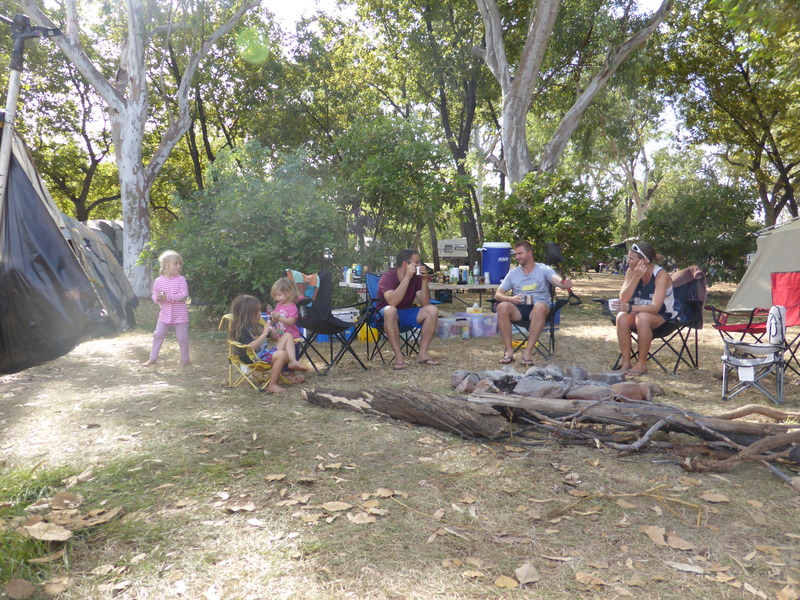 Eating out is expensive, and accommodation in Kununurra can also get pricey in the popular dry season. There are several caravan parks in town to choose from, as well as hotels and other accommodation options. We were fortunate to be able to stay with our friends who knew the region well and were very gracious to host us all that time. Flights to Kununurra are also expensive from most parts of Australia, as it is just so far away! We recommend booking flights very early to get the best prices for travel in the dry season. This was undoubtedly our favourite place! 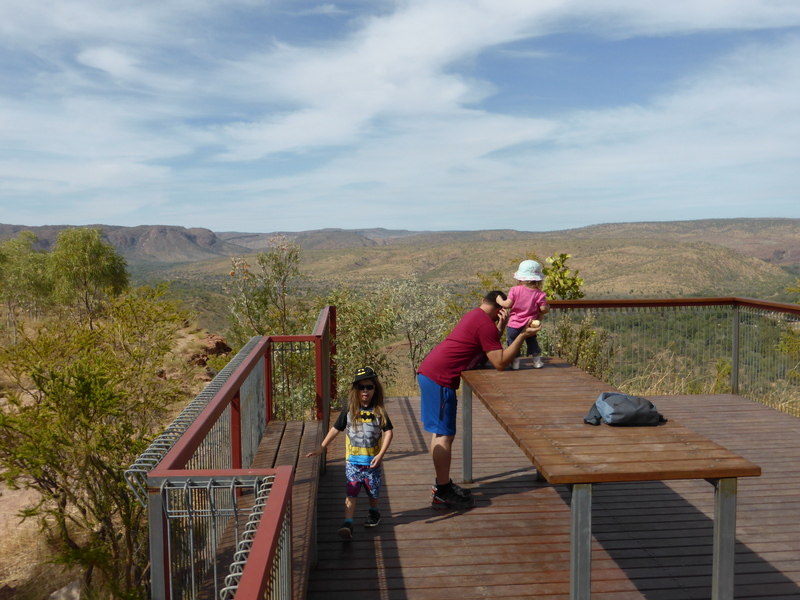 We went twice, once on a day trip and once on the way back from camping at El Questro station. 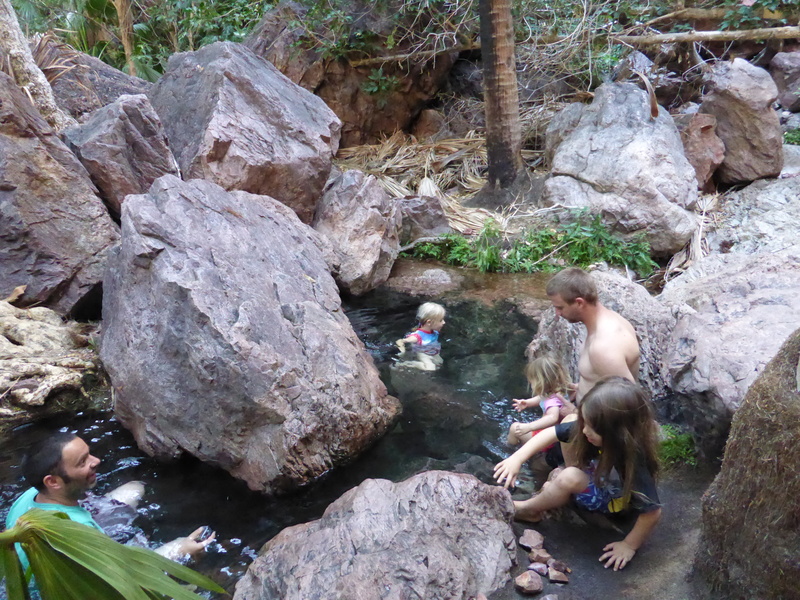 Zebedee Springs is a naturally heated series of rock pools that seems tailor-made for people to nestle into and relax. The water is as warm as a bath, and the pools are lovely sizes to have privacy for small groups, or even personal use if it’s not too busy. 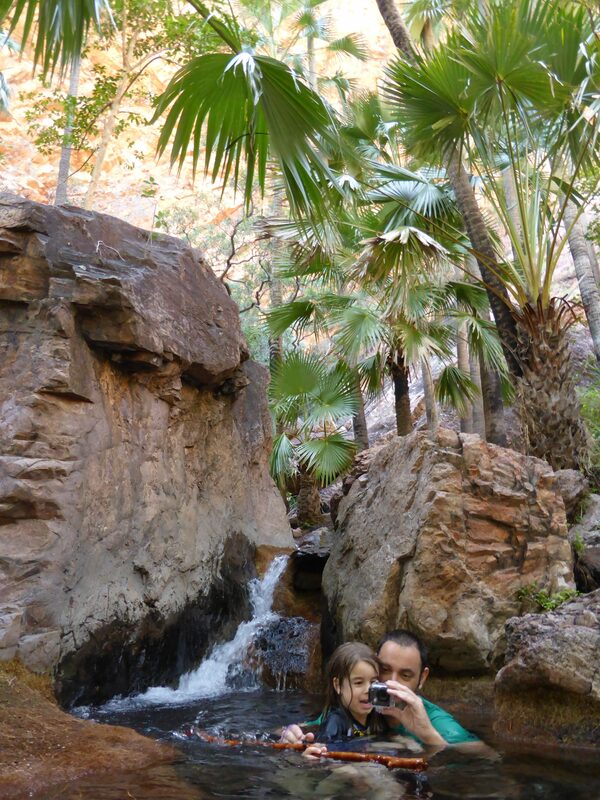 The setting is stunning; with red rock faces that glow golden in the morning sun, abundant greenery and clear fresh water, it felt as if we had made it to an oasis in paradise. No wonder Dante commented that he wanted to live there forever! Allegra enjoying her very own space! 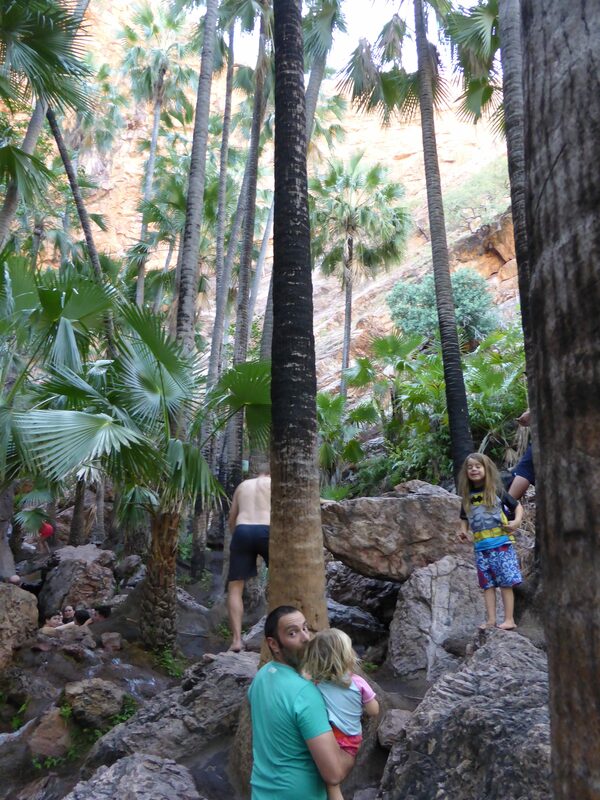 Climbing the rocks at Zebedee Springs. 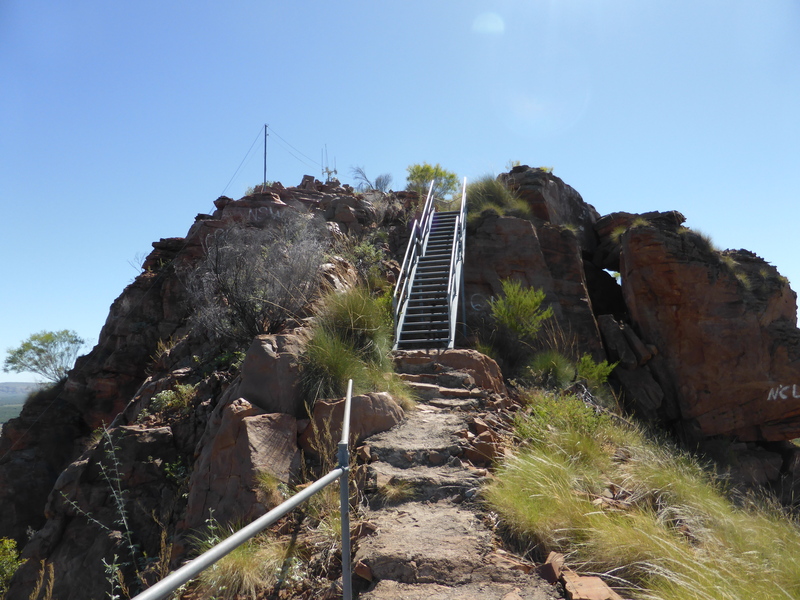 Zebedee is about 100km north of Kununurra, and is only open to the public from 8am – 12pm daily. The afternoons are reserved for exclusive use of the guests of the upmarket accommodation in El Questro. We were sorry to leave it both times, and would definitely recommend it if you’re anywhere remotely close to northern WA. 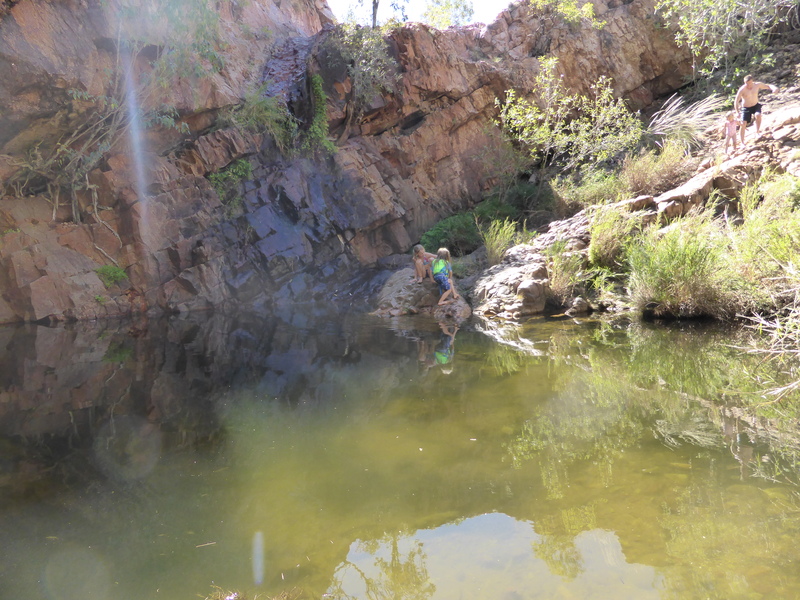 El Questro Wilderness Park is a huge former cattle station, that encompasses Zebedee and other natural springs, waterfalls, gorges (including Emma Gorge), ranges and several accommodation options. We camped at the station for two nights, and it was our first experience of camping with many other people. It was great fun! 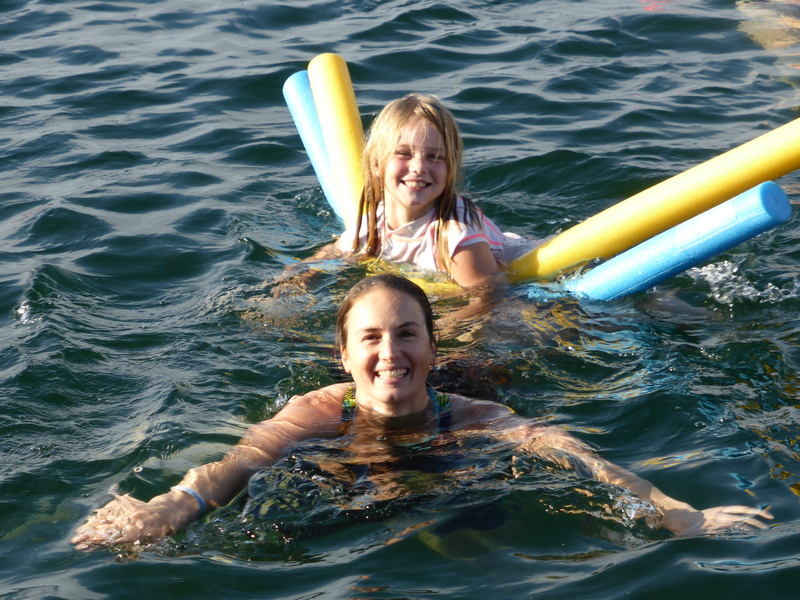 The kids met other kids and designed their own games together, and we paddled and splashed in the rock pools and shallows surrounding the camp site. We also got bogged in the sand collecting firewood, which was a great experience in working together and getting help! And we drove out to the spectacular sights of Saddleback Ridge and Branco’s look out, both of which were difficult 4 wheel-drive only excursions. 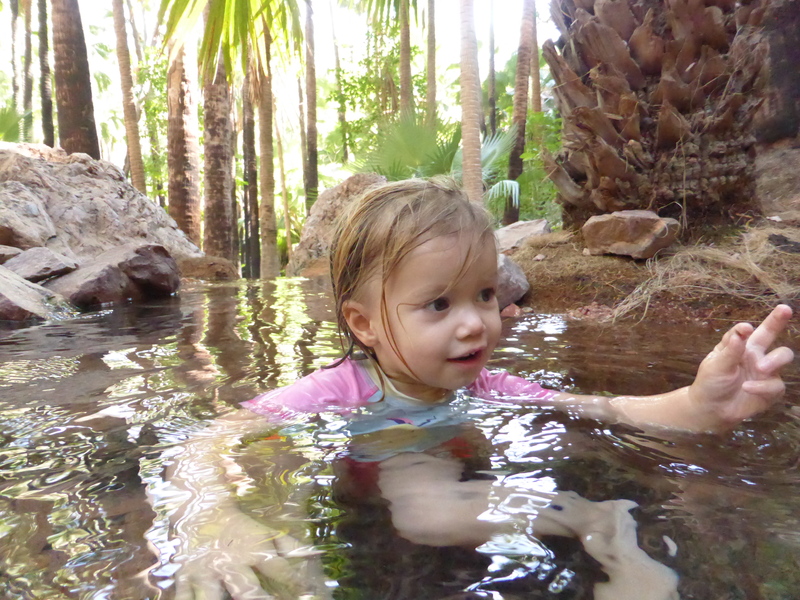 This is a lovely little swimming hole that is definitely not heated! 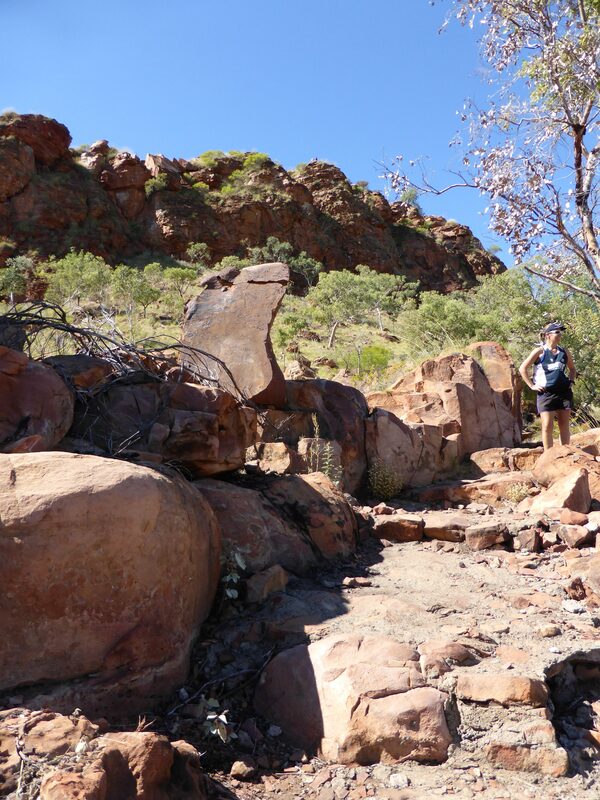 It is only about 30km from Kununurra and is usually quiet. 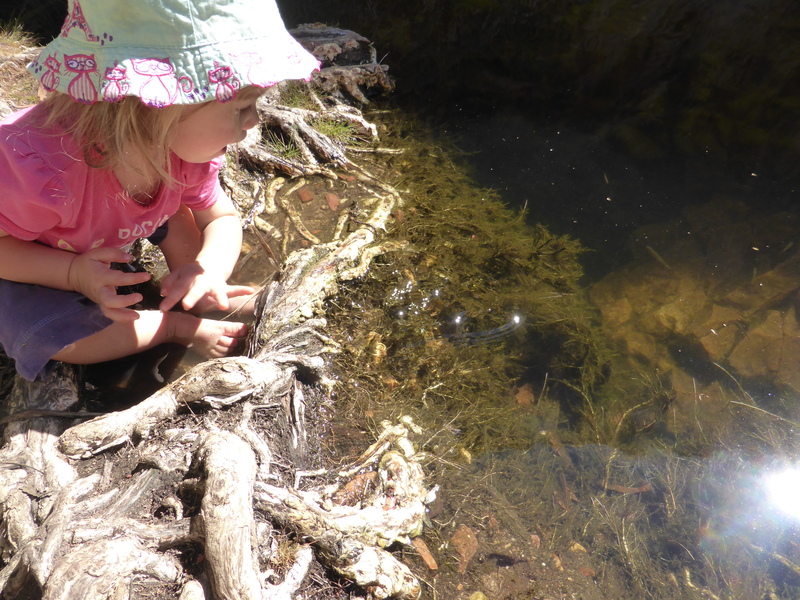 Allegra was stunned to see little fish come up to her toes! They nibble the excess skin off if you can stay still enough. We said they were giving her a kiss and she still talks about them fondly. Kerri took me only on this fairly challenging upwards trek, to the highest point in the area. 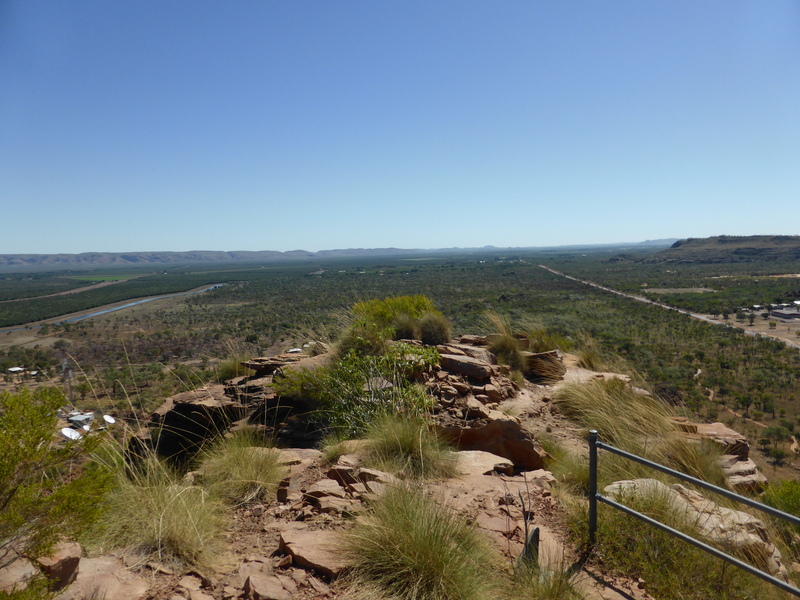 It is just out of the Kununurra township and provides amazing views of the whole surrounding region. I would have struggled to carry Allegra all the way up, and it would take a long time for very small legs to reach the top. The track is quite safe for bigger kids to climb though. Our friend Lenni loves it there and has been climbing it since she was four. At the top it does have a caged telecom tower that is covered in radiation warning signs! I think staying close to it for extended periods would be quite bad for your health. I made it! The view was incredible in all directions. 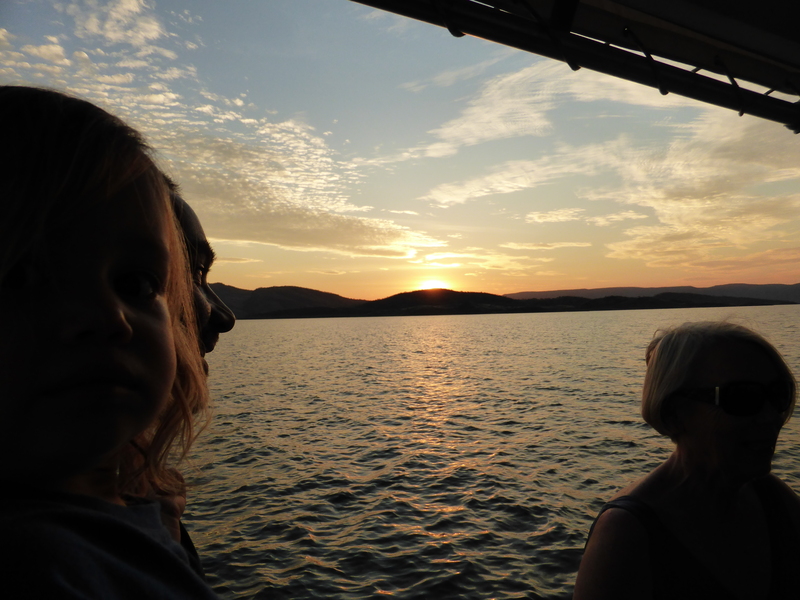 We took a sunset cruise on the last night of our visit, and it was very informative and scenic. 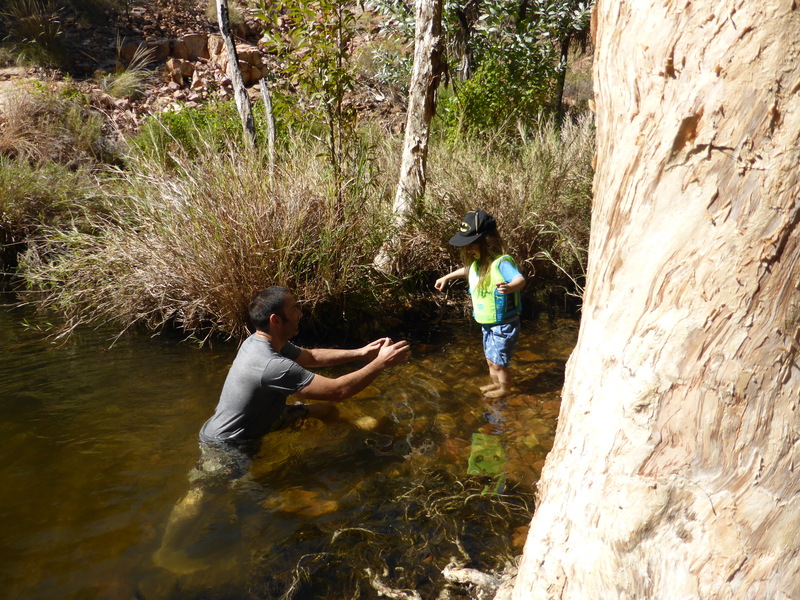 We took a quick dip in the water, and saw a crocodile, rock wallabies and huge golden orb spider webs. We also experienced a truly beautiful sunset. 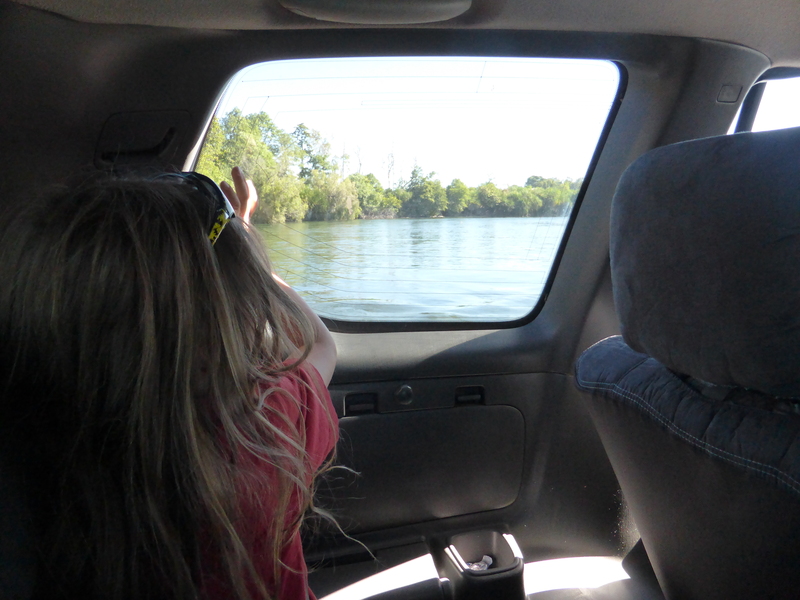 I’m not sure that learning about the Lake’s ecosystem and environmental issues would outweigh the negative impact of motorboats regularly touring it or not. 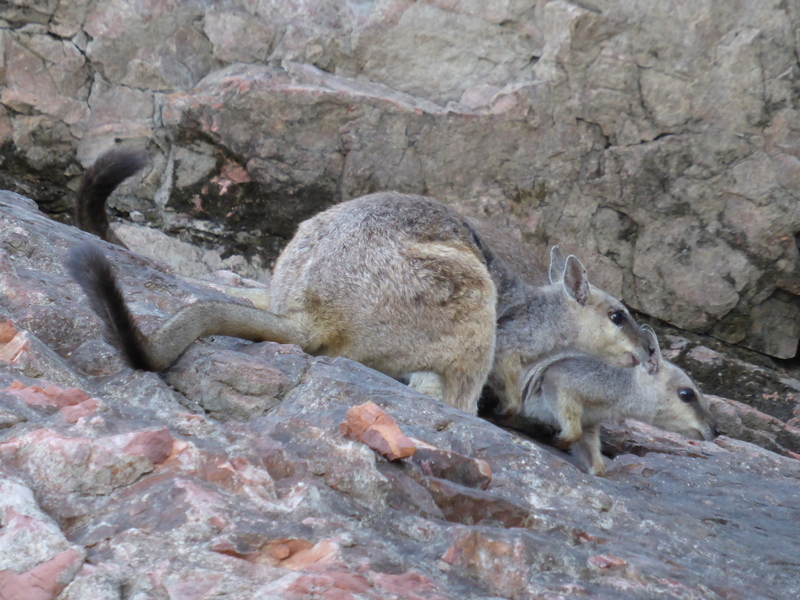 The operator also fed the crocodile and rock wallabies to keep them coming into view for the daily tours, and this isn’t a good idea to support wild animals’ health and behaviour. 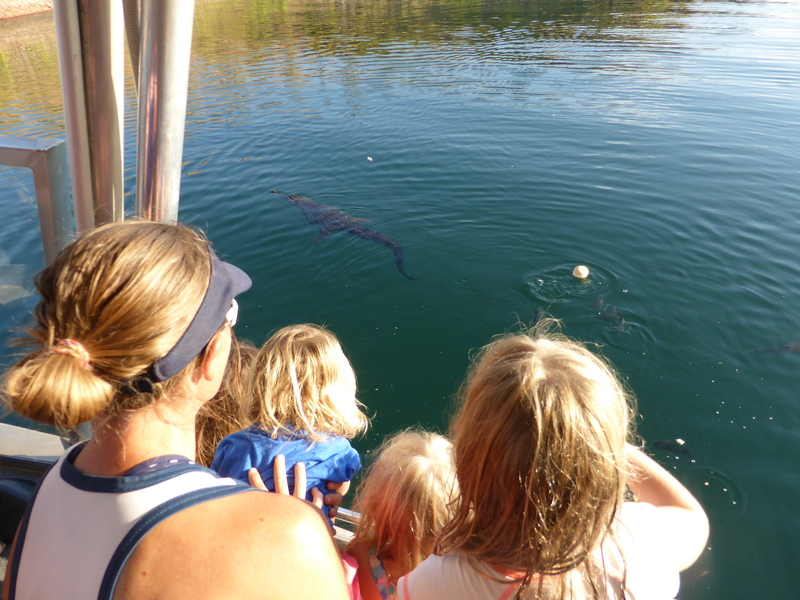 Having said that, the tour was certainly informative about the health of the lake and its inhabitants, history and events. And our guide reminded us to be very careful about not leaving any trace of our visit behind. 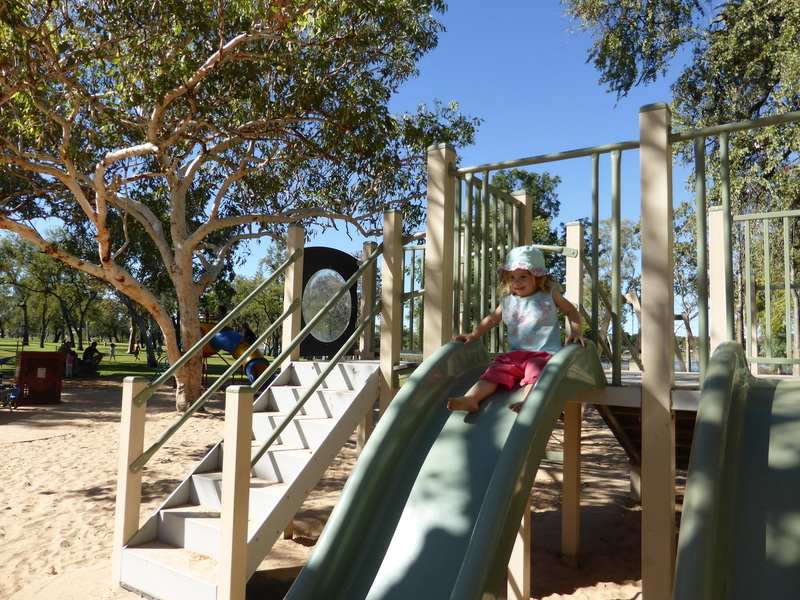 There is a wonderful park and playground in the centre of Kununurra, called Celebrity Tree Park. 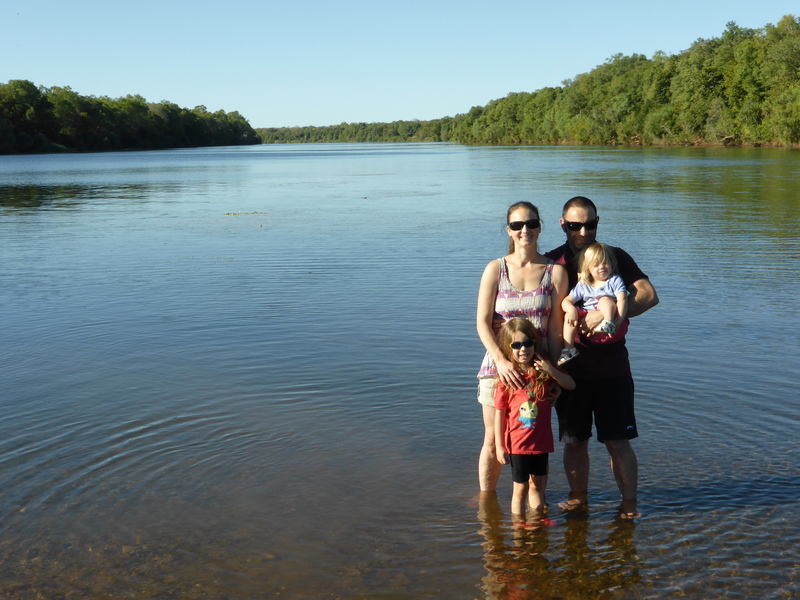 We spent a happy afternoon exploring and playing there, admiring the boab trees and the Ord River. The play equipment was great for kids of all ages, and they just loved having loads of room to run and enjoy the beautiful weather. There is so much more to explore throughout the top end of Western Australia and the Northern Territory, but being so vast, you really need a lot of time to do it justice. I can see us taking a big trip to this part of Australia in the future, perhaps when our kids are much older and we can handle long treks and more physical adventures. 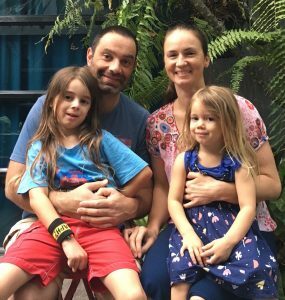 We are ever thankful to our friends Matt, Kerri, Addison and Lenni for hosting us and taking us on these wonderful adventures! 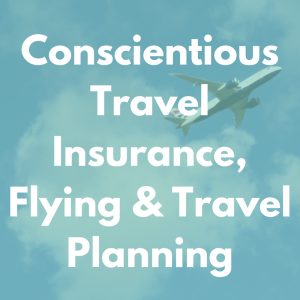 If you’re planning a trip to Australia, be sure to check out our travel insurance provider, World Nomads. 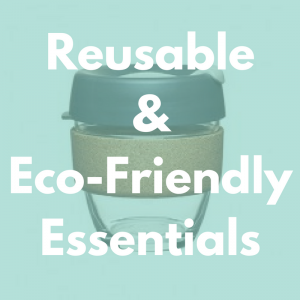 They support responsible tourism, are super-flexible and helpful, and as a customer you can make a micro-donation to one of their community development projects, too. 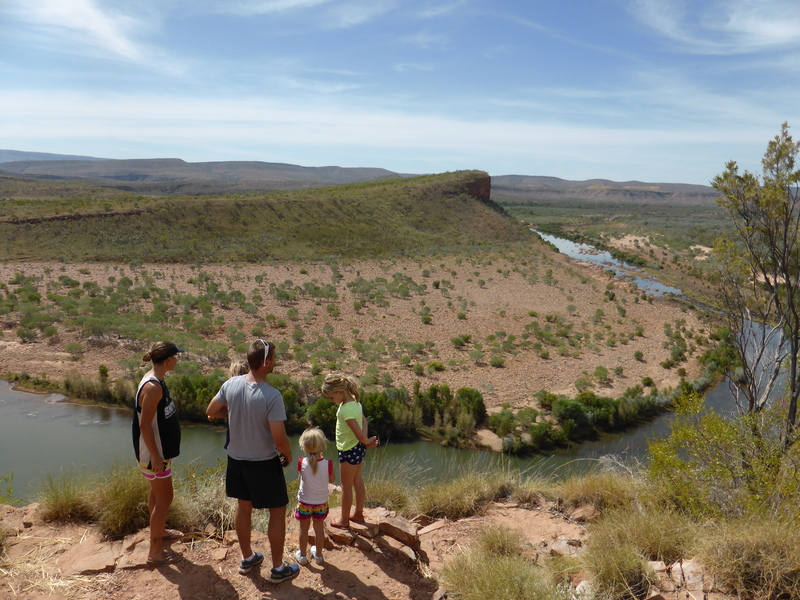 Read about another iconic Australian adventure we have had at Mungo National Park, New South Wales. 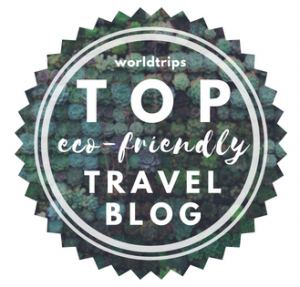 And if you’re interested in more outdoor adventures in spectacular Northern Australia, this post details many waterfalls in the Atherton Tablelands, Far North Queensland. 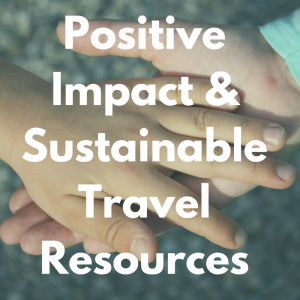 Responsible travel in Siem Reap, Cambodia. It’s easier than you think! Volunteering with our children at the Juara Turtle Project. 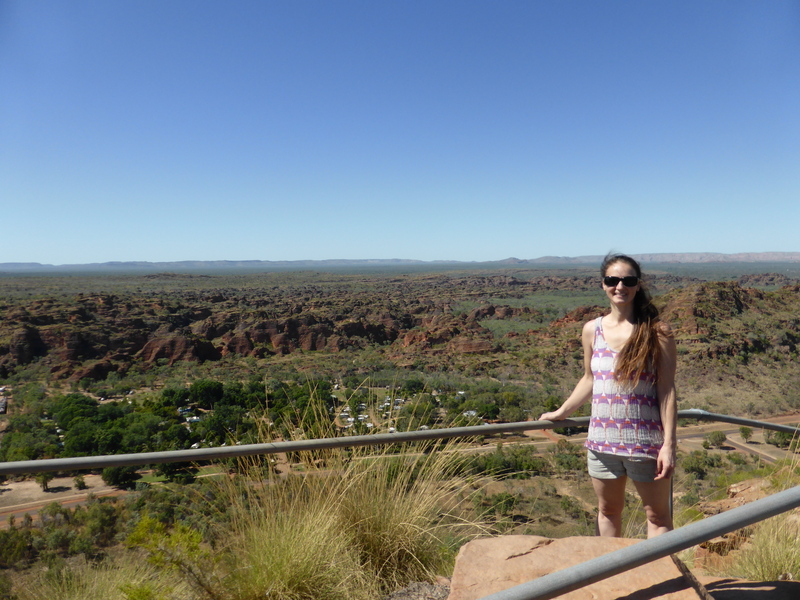 Adelaide to Uluru road trip: the sights, great camping spots, family fun & responsible travel tips! This is great! We’re planning a trip to WA in 2019 (this will be our second visit to Australia, coming all the way from Canada)! 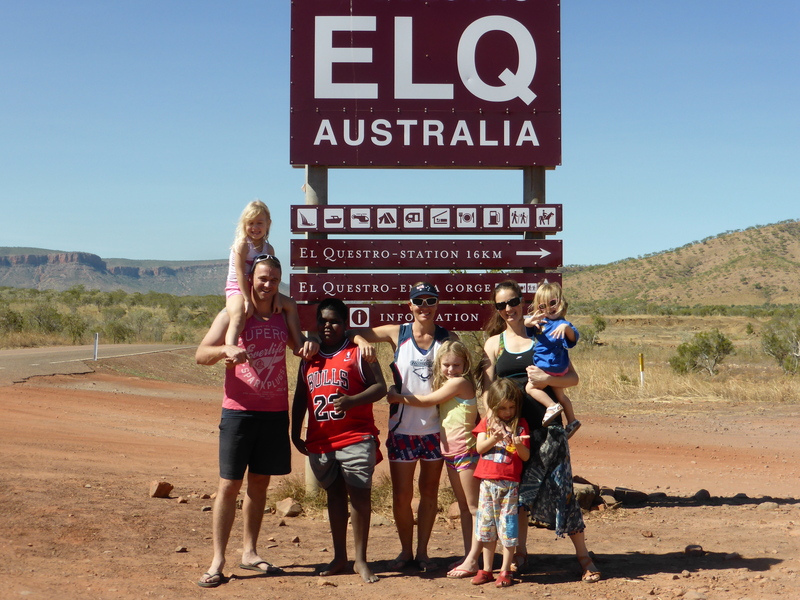 We really can’t wait to visit Kununurra! We’ll also be driving the Gibb River Road. Thanks for your feedback Pam! Sorry for my delay! You are coming a long way, and I’m sure it will be absolutely worth it. 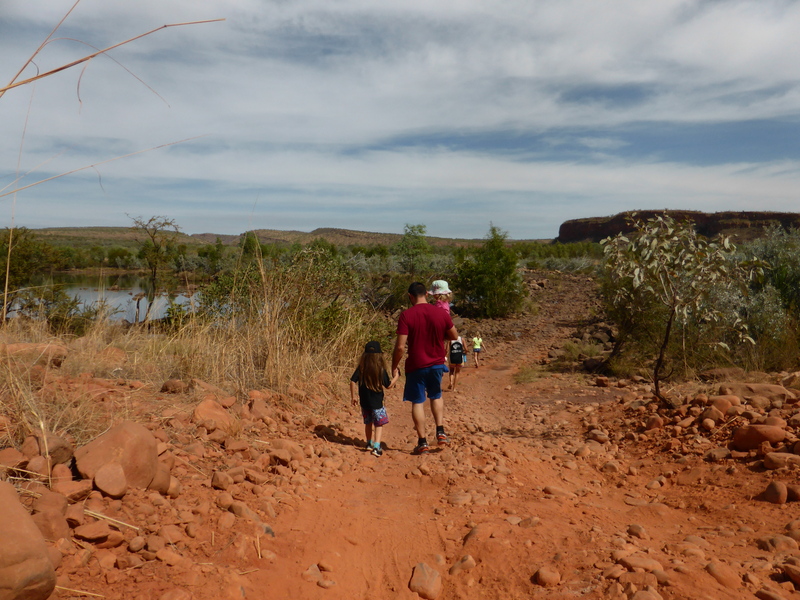 We really loved Kununurra and it will be awesome driving and taking some time to explore further up there.